What a busy month our Hubbers are having during the Holiday Season! With so many things left to do before Christmas and New Years there are a lot of great topics to write Hubs about. I’ve seen a lot of great “top gifts for…” lists, holiday recipes and useful tips for holiday parties and games. Some other great Hubs are being published about New Years resolutions and tips for dealing with relatives during the holidays (ahem). Do you have some expert advice or experiences to share with others during the holidays? If so, maybe they would make great Hubs! 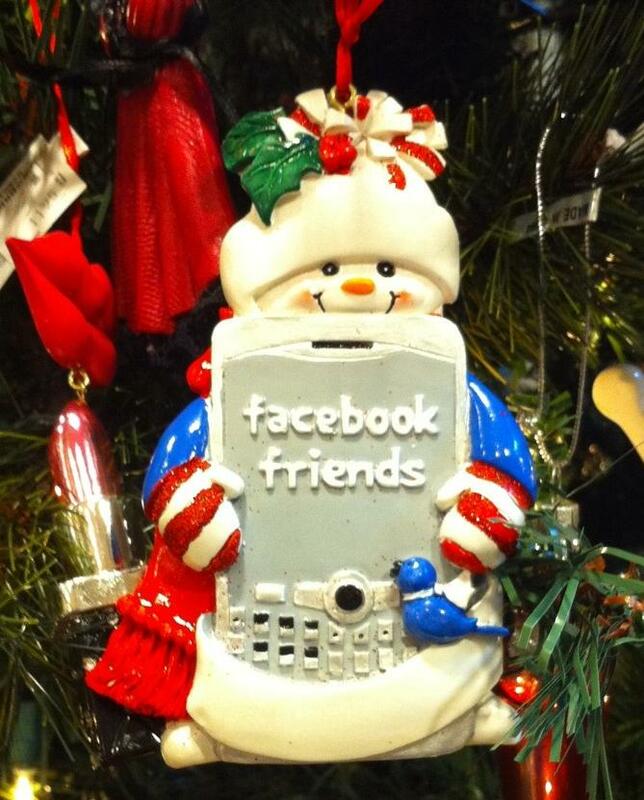 I saw this ornament on a Christmas tree today and I thought I’d share it with you as a reminder to be our Facebook friend! Happy Holidays! Happy New Year Everyone – and remember to be careful what you wish for when you make resolutions!